Verified past successes: Our admission rate for all applicants to all schools is close to perfect (over 96%). On average our clients tell us we improved their prospects by 3x. But don’t just take our word for it – where they’ve given permission we’re happy to let you talk to them. Leaders in the field since 2002: We are not beginners. We’re experts in MBA admissions, have authored published books, and/or contribute regularly to print and Web media in this field. We understand Adcoms, how the admission system words, know the terrain, and can lead you through it. Undiluted focus on the MBA: We’re specialists in MBA admissions and we stick to our knitting. Compare this with the jack-of-all-trades admissions shops: a bit of Med School here, a bit of PhD there… With us, there’s no chance your application will be touched by anyone who’s not an MBA specialist. It’s all we do. Value guarantee: Our prices are the lowest among credible players in the industry, and our unique pick-and-choose service structure means you can take what you need when you need it and not pay more: no extras, no hidden costs. We will beat any quote. Flexibility: Our modular system means there is no system that locks you in, and no minimum spend. It’s designed to be totally flexible and client-friendly. We think it’s the perfect system for the empowered, savvy, business buyer. We don’t ask you for thousands upfront. Be suspicious of any company that does. A rigorous, comprehensive process: Our candidate profile development system (see services) has worked for applicants to top-20 schools year after year. We never just rush to put a pretty face on a weak proposal. First we build up your value proposition, then we make sure it comes across in your essays, interviews, and references. Superior communications: Avi Gordon and anyone else who touches your copy is a qualified, proven English editor with a strong writing background. These are people whose professional job it is to construct persuasive messages, create unique, memorable stories, and edit copy for grammar and stylistic polish. Clear, structured, thorough feedback: Some will take a stab at your copy and leave you to pick up the pieces. We give you a structure to write to, and then a line-by-line, easy-to-follow review and clear next-steps as to how to add ideas or address problems. We don’t just say “fix-it,” we lead you through the process. Real personal attention: Beware of essay supermarkets. 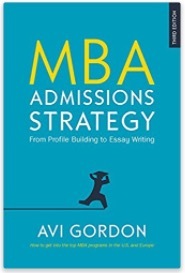 The MBA Admissions Studio is not one of them. We believe that to do MBA admission right we have to build relationships where we actually get to know you and think about your case. And, hey, you can call us anytime and actually speak to a live person! Unlimited access: Some admissions shops limit the number of times or the number of days during which you can access your consultant. What’s with that!? At the MBA Admission Studio you have unlimited e-mail/ phone access to us. Balance of capacity and clients: We have enough capacity to give each client 100% attention all the way through the process. If we can’t, we’ll turn work away. Beware of providers who you suddenly find “impossible to reach” when you need them the most – as deadline day draws near. 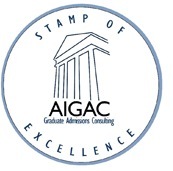 Genuine quality assurance: All admissions strategy and all editing passes through quality assurance supervision you can rely on. If we mess up (it can happen, we’re human!) we make it right or your money back. Real international applications experience: We don’t just claim to be able to help international applicants. We have also lived in cross-cultural situations and experienced every key issue international candidates face. Some of our most memorable successes have involved Americans going abroad, or foreigners to the US. Verified integrity and standing: We’re an accountable, minority-friendly, foreigner-friendly company with seniority you can rely on. We’ve been independently verified by media and industry partners and have been the official admissions partner to the World MBA Tour. We’re not a bunch of Internet jocks out for a joyride. Confidentiality and security: We will never disclose your name, email, or anything you say or write, to any person, company, school, or institution. We never sell essays on. Payments are handled by a third party and we never see your card number.